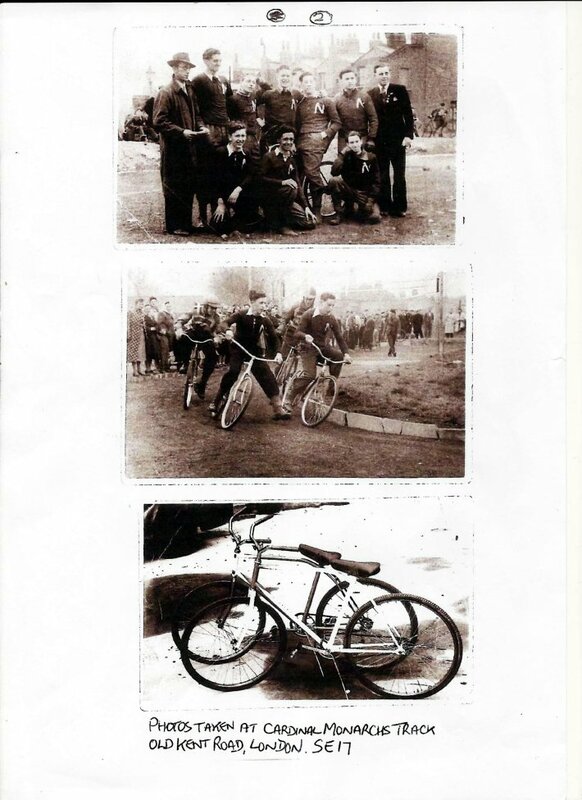 The earliest known photograph of Cycle Speedway in the Tyneside region, - The track was in Byker 26th September 1949. Newcastle (Fossway) v Edinburgh. If you have any memories of the early days or any other information then please send me an email Keith and we can improve the website. 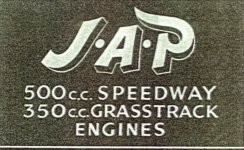 It is not certain when the first track was built and the name of the team. 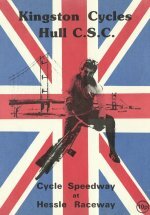 We may be confident that after World War 2, Newcastle, as in many other towns and cities many sports flourished and there would be many young men riding their push bikes pretending to be their speedway heroes who they would see at Brough Park every week. It is a small jump to find a piece of spare land, mark out a track and race against each other. Before long teams were formed and raced against each other, facilities became more sophisticated and the best tracks had rising starting tapes, concrete starting areas and adult supervision. We have evidence of only one track in photographs. the track is shown above. It was situated on the Fossway, just a hundred yards or so west of Brough Park. Other tracks known to have existed are at Roman Avenue, also off The Fossway and at Monkchester Common in Walker. Team names that have survived are Bensham Broadsiders, Brough Park Eagles, Byker Red Stars, Team Valley Meteors, Wallsend and Newcastle Harts. There is photographic evidence of a race jacket with an "N". The test team that rode at South London had tops with a small N under the left shoulder. How long the sport survived is also not known, but it can be assumed interest would have died off after the closure of Newcastle Speedway at the end of 1951. 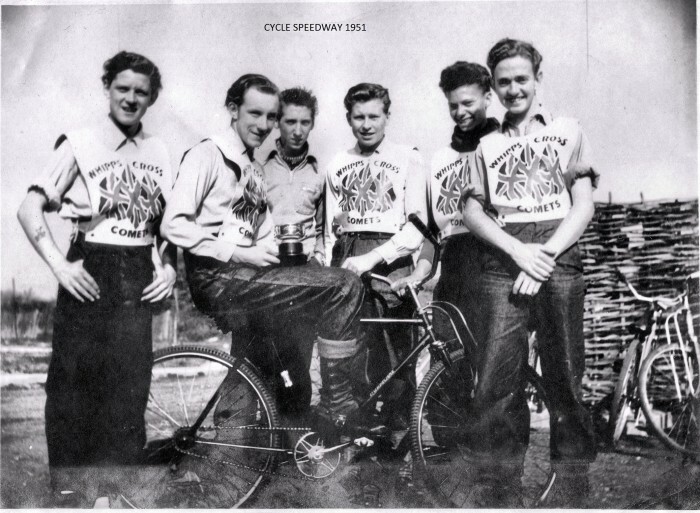 We now have confirmation of cycle speedway in the region in 1948. The Speedway Gazette magazine had a regular cycle speedway column, and this was in the November 13 edition. Seaton Delaval Rams can be added to our list of teams. Unearthing the facts about the sport on post-war Tyneside has not been a straightforward task. As research has progressed, the information coming through has sometimes confirmed what was already known or surmised, but has also sometimes changed or contradicted existing assumptions. 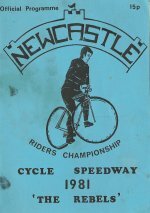 There was no dedicated national Cycle Speedway magazine until late 1948 or early 1949, and the initial information about the sport’s early days on Tyneside came from a trio of riders from that era, and depended on their memories, some faded newspaper clippings and old photographs, placing 1949 as the possibly earliest date. 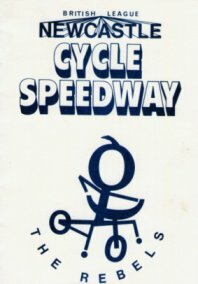 The earliest nation-wide mentions in print of the sport came in the Junior Gazette in 1947, a section of the Speedway Gazette, and there was sufficient interest to merit a regular Cycle Speedway Gazette page within the same magazine in 1948 (John Leith’s better-known Cycle Speedway Gazette did not commence publication until 1951). In 1947 there were league competitions in Glasgow and Bradford, and Tyneside would have been ideally placed between those regions – but we have no evidence yet that the sport was running in that year. 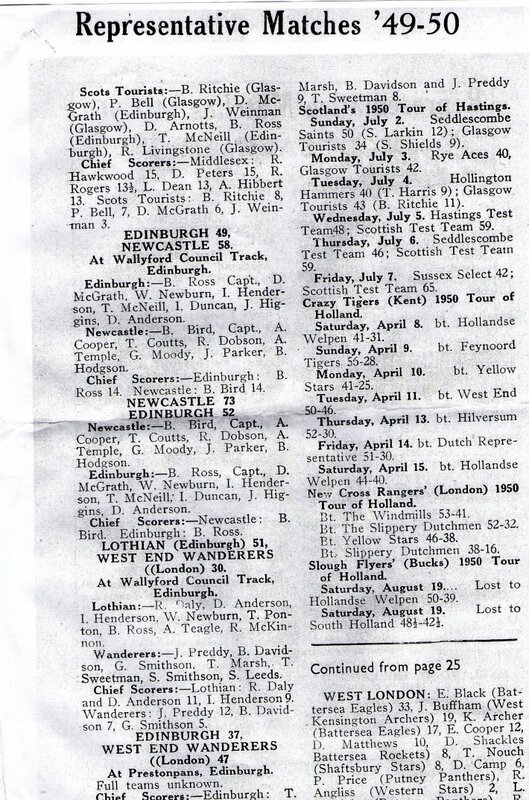 The earliest report of activity on Tyneside appears in an autumn 1948 issue of the Cycle Speedway Gazette, which revealed the existence of some form of racing during that year, which must have been sufficiently developed to permit discussions with Edinburgh about a Test Match series in that year (according to anecdotal evidence in 1949 in another national magazine). The series never came to fruition in 1948, but did take place in 1949. 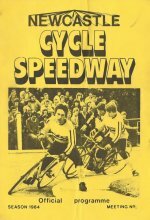 The picture has become much clearer as a result of access to the British Library’s newspaper archives, where copies are held of the Cycle Speedway Record, Cycle Speedway Monthly and Amateur Cycle Speedway magazines, as well as Graham Payne’s Cycle Speedway Annual for 1951-2. 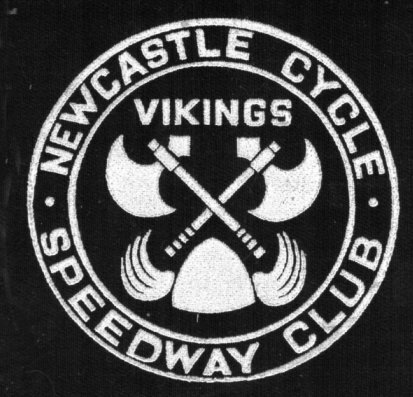 These reveal plenty of information about 1949 and 1950, but the only references to 1948 are those brief ones in the above paragraph – so we still cannot set in stone the earliest date for Cycle Speedway on Tyneside. The British Library is a great source of written information. Les Gustafson visited it a couple of times, this is what he found. 17 June 1949. Newcastle and District Control Board was organising a knock-out competition for all interested teams Organiser was Edmund Hall, 50 Bede Close, Holy Cross, Wallsend. Webmaster John Skinner says: I know Edmund Hall. We met a few times around 2004/2005. Edmund it turned out was a big speedway fan and he was involved with the Wallsend Festival when I provided a Newcastle Speedway publicity stall in Wallsend's festival for 2 years running. Edmund was quite an age but he told me he loved his speedway. with challenge meetings with Seaton Deleval Rams (North Tyneside). They were hoping that Wallsend Council would build a track (Eds note, nothing came of this as far as I am aware). April 1949 Jack Marshall, 28 Hartburn Terrace Seaton Deleval, captain of the Rams appeals to the League for admission, it is reluctant to do so due to the distance from Newcastle. ( In fact about 5 miles. ed ). The above proposed challenge meetings would appear to be a compromise. The Edinburgh correspondent of the magazine revealed talks were held in 1948 regarding Test Matches with Newcastle. Sep/Oct 49 This issue reported the first meeting between Scottish and English clubs. 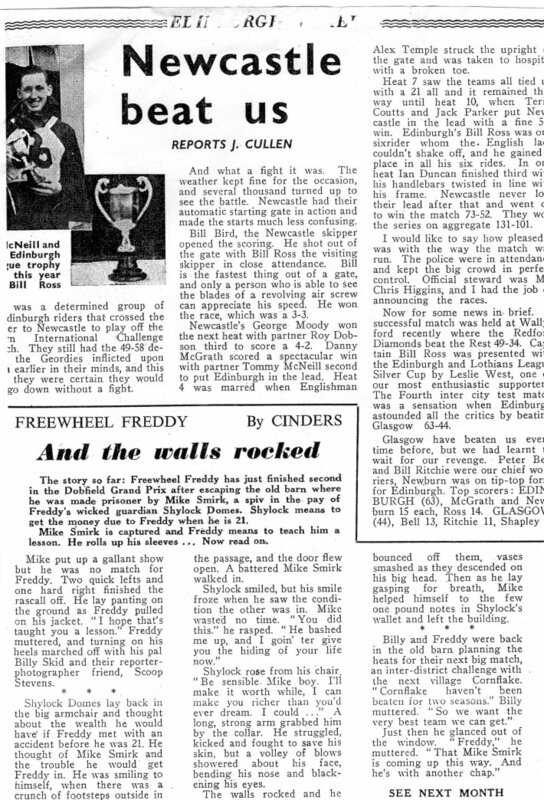 The meeting was held at Wallyford (Edinburgh), the result was a win for Newcastle Edinburgh 49 - Newcastle 58. Oct/Nov 49 This issue carried a report of the return meeting. The result was a win for Newcastle 73 - 52. It commented that the Newcastle track had an automatic starting gate ( see photos ed ). Home rider Alex Temple broke a toe colliding with it! The steward was home official Chris Higgins, and police were in attendance to control the large crowd. Home stars were then lost to the sport, Billy Bird (conscripted and Jack Parker (retired). Captured by the Newcastle Evening Chronicle is the opening meeting at the track just a hundred yards west of the speedway track at Brough Park. 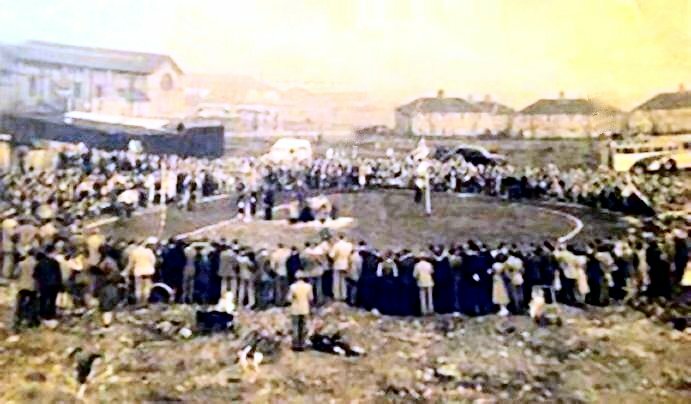 The Fossway can be seen at the left of the picture.The meeting was The Newcastle Ns v Wallyford Aces from Edinburgh and was held on 26 September 1949 and won by Newcastle 73-51. It is believed a second meeting was held on the same day. "More action from the start. Not sure of the opposition, one of the riders still wearing his tie!" A view of the pits area. Standing on the left smoking a cigarette is Alby Hiscock. He is the brother of well known speedway and cycle speedway supporter Jackie Hiscock from Byker. 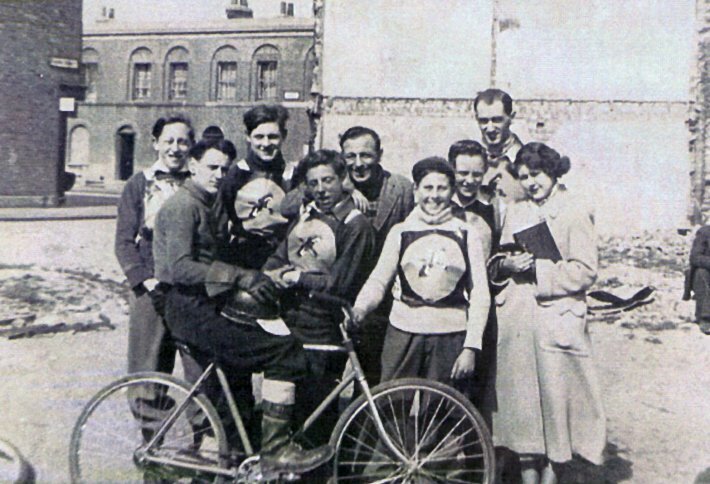 This is the Harts Cycle Speedway Team from the 1940's. Left to Right: unknown, Billy Miller, Billy Bird, with George Ince in the middle wearing a tie. Anyone recognise any of the lads faces? 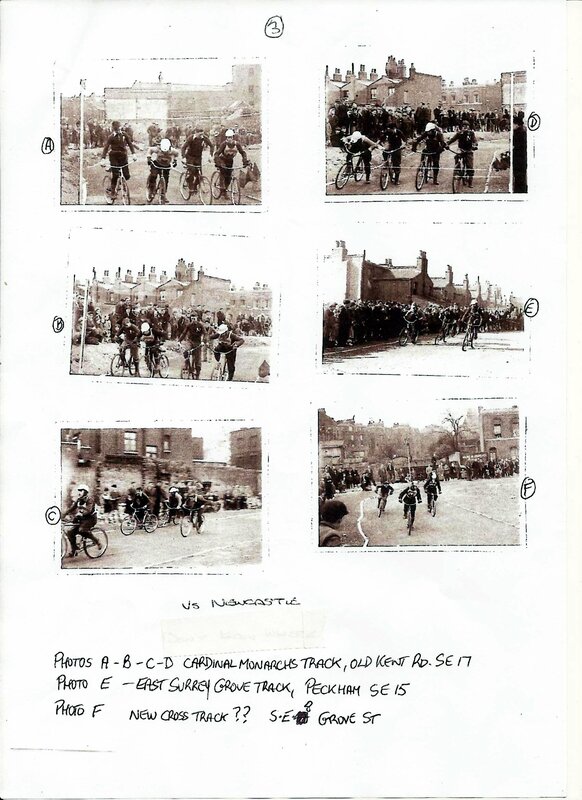 Easter 1950 saw a Newcastle team ride three meetings in South London. Jimmy Smith has managed to track down a former rider, Dennis Daniel who was present at the meetings and has let us have copies of photos and press cuttings from the series. Other photos from the same time are from the collection of former Newcastle rider from the 1940s and manager from the 1960s, Jackie Hiscock. 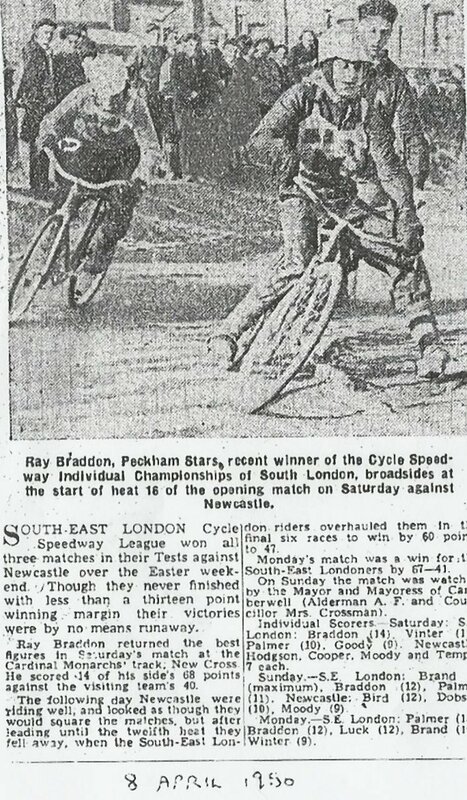 The young lad in the light-coloured jersey holding the handlebars – Dennis Daniel – spectated at that South London v Newcastle Test Match at the Cardinal Monarchs’ track in 1950, and provided some of the newspaper cuttings and photographs in this section. Just enough of the track can be seen to show that it was a typical post-war bomb-site strip, where one side of a London street had been flattened in a bombing raid and the ground commandeered by the local kids to make a cycle speedway circuit. The film “Skid Kids” featured teams from two similar tracks just a short distance from Cardinal Bourne Street – Bermondsey Greyhounds and Ruskin Flyers, and Dennis Daniel was there too – he did some stunt-double racing in the film, but reckons that his efforts all ended up on the cutting-room floor. It’s hard to tell, however, as all the riders were wearing helmets and face-masks. Les Gustafson has collated the latest information we have on the early years of the sport. 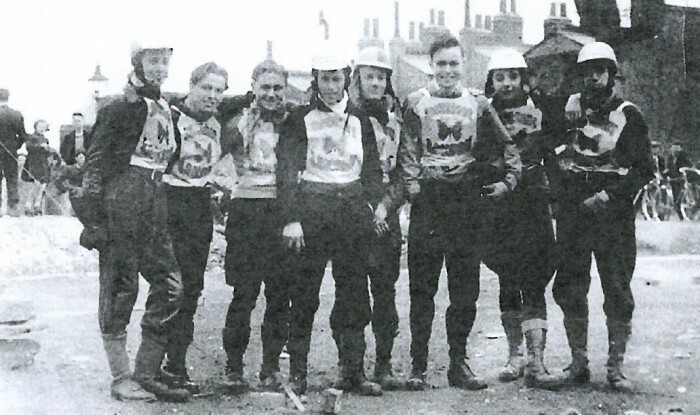 Although, inevitably, the focus of post-war Cycle Speedway was Newcastle – the known tracks were within a stone’s throw of Brough Park Speedway Stadium , and one of the teams was called Brough Park Eagles – there was activity of a sort throughout the North East. One of the most unlikely centres just after the war would have to have been Seaton Delaval. The Cycle $speedway Gazette of Autumn 1948 (the Speedway Gazette of those years had a section devoted to the pedal-sport variety) mentions the Seaton Delaval Rams (wonder if they suffered from the Seaton Delaval Ram’s Head curse in their matches ?) and their proposed Winter League encompassing teams from Byker, Team Valley and Bensham (Gateshead). 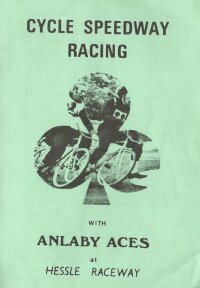 The Cycle Speedway Gazette was where teams and riders could make contact with each other, and that Autumn 1948 issue included a plea from a Forest Hall resident for a Newcastle Association, and in the January 1949 edition there was a brief Directory of Teams, which included Billingham Hornets from County Durham. 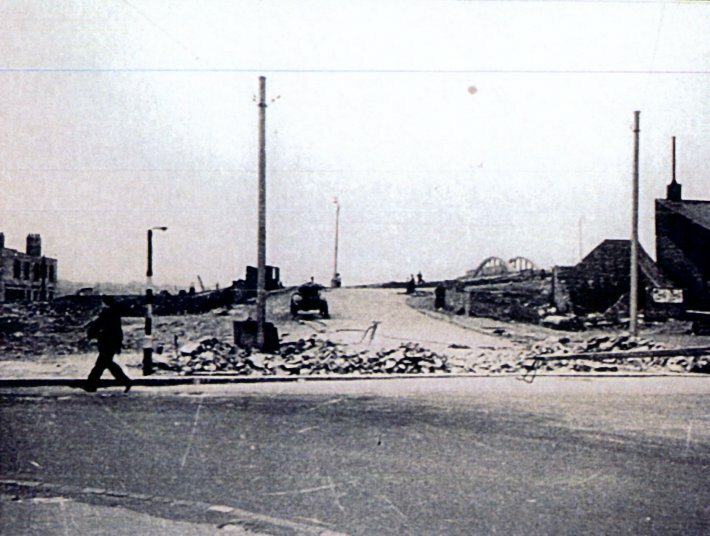 So far, little is known about activity on either bank of the Tees just after the war, although with the sport in existence on Tyneside and then just down the A1 at Catterick Army Camp, it would not be unreasonable to expect racing on Tees-Side too. 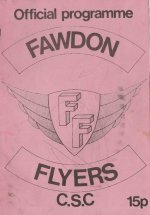 The Billingham Panthers appear in the list of teams in “Fifty Years of Cycle Speedway”, but there is no clue to the period in which they may have existed, so Billingham Hornets is the only team we can confidently associate with this era. 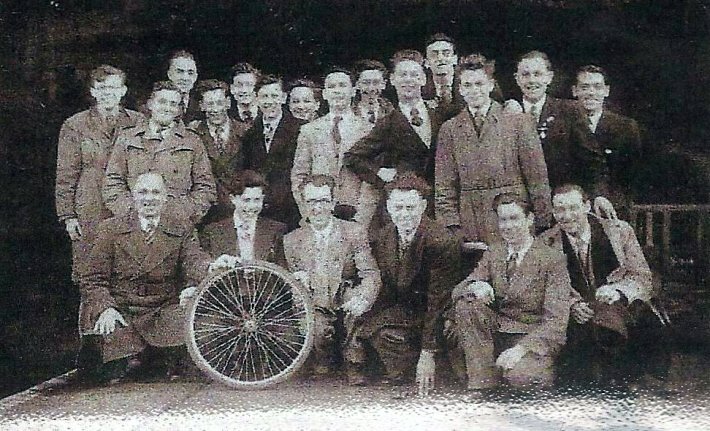 In the November/December 1950 edition of Amateur Cycle Speedway magazine there is an invitation from a Ken Aleringham of 47 Garnet Street, Middlesbrough, for any interested rider to join his team. Unfortunately, he does not give the name of his team, nor of any other teams which may have been racing at that time in the area. 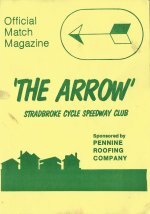 The brief internet mention of the bomb-site track in South Shields has been amplified with the help of Cycle Speedway’s Archivist-in-Chief, Dave Hunting, who supplied pages from the Cycle Speedway Annual of 1951/52, including the Directory of Teams and Tracks, which listed five teams on Tyneside – three from Newcastle, one from Wallsend and one from South Shields, giving the track address for the latter club as River Drive. River Drive is the road which loops around what was the bomb-site cited as the track location in the internet piece. The South Shields Secretary was named as N (Norman) Carney, who lived near the seafront in South Shields (not far from The Leas where the track was in 1965). Now we come to an unfortunate fact: when the 15/16 year olds in Newcastle and South Shields started their racing in 1965, they were not only unaware of each other but also of their post-war predecessors - yet much of the old information now on display on this site was available then, and memories would have been sharper too. 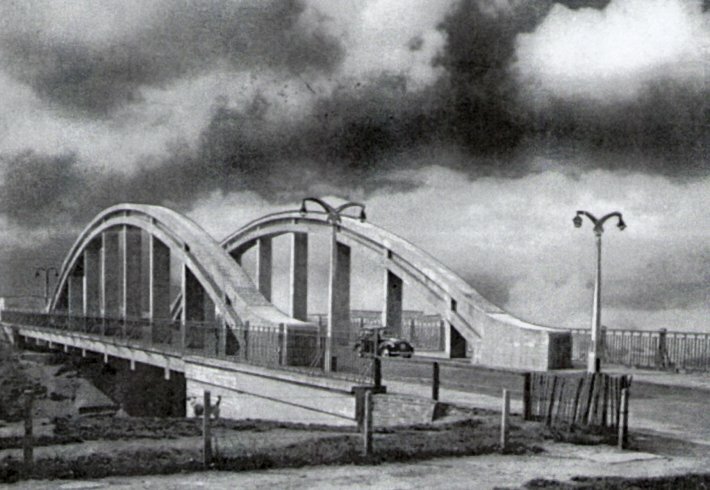 These days we depend on the memory banks of a trio of Newcastle riders from that earlier era – Archie Cooper, who was in the Newcastle team which raced in South London, Jack Hiscock, who provided the photos in the Catterick section of the site, and John Robson, who doesn’t remember the River Drive track in Shields, but does recollect a track at Simonside, near the South Shields football stadium at Simonside Hall (which must have been in 1951 (? ), after the football club moved to that site, and may well reflect the fact that the River Drive track was no longer available due to redevelopment of that area). 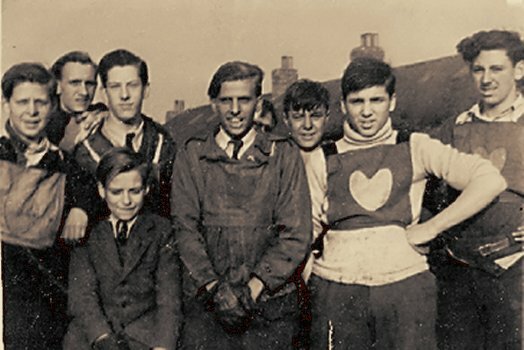 There must have been contact between Newcastle and South Shields, as Norman Carney is shown as a member of the Brough Park Eagles team which raced in the early meetings at the new Catterick Army Camp circuit in the Summer of 1950. The track had been built by Army Engineers at the Camp’s Peronne Sports Field and the Catterick Lions were able to draw on riders from existing teams doing their National Service there. They were from far and wide - the Tarrant brothers and Kid South from London, Glaswegians Norm Whitfield and Bob Devine, Doug Wotton from Bristol and Eric Ashby from Norwich, to name but a few. 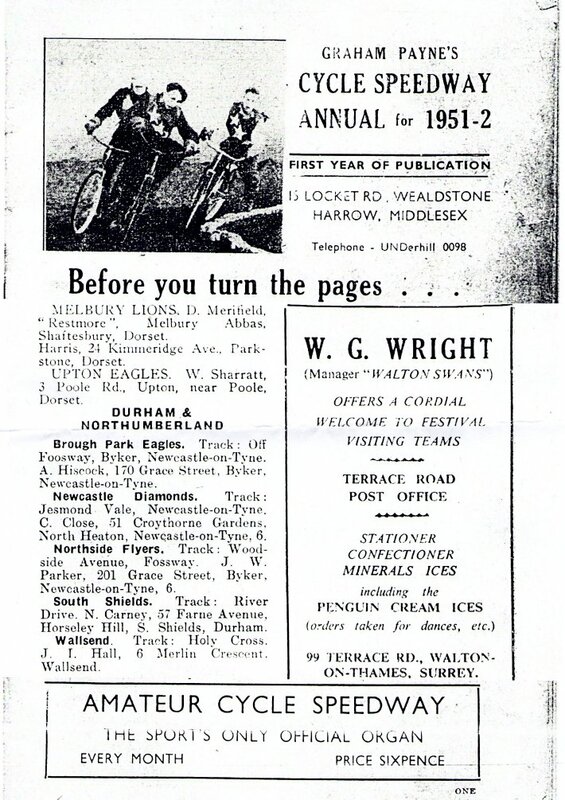 The star of the first meeting on 1st July 1950 was nineteen-year old Doug Wotton from Whitby Lions, who scored a fifteen-point maximum in Catterick Lions’ win over Newcastle’s Brough Park Eagles, and also set the track record. Doug – now eighty years of age – remembers the away trips to Newcastle, Scotland and Bradford, and that the Lions entered their second season in 1951, but he was posted to Germany in August of that year. This highlights the drawback of a team made up of National Servicemen - they were liable to be posted away at any time, or else complete their 18 months/two years of conscription and then return home. Norman Whitfield was also posted to Germany, and Bob Devine – one of the guiding lights of the Lions team – was back racing in his native Glasgow in 1952 for Pollok Stars, so it may be that Catterick Lions had a relatively short life-span. Alan Stevens says: The guy on the left is Malcolm Brown he graduated to the real thing and rode for among others the Leicester Horseshoes. The Whipps Cross Comets were pretty big around the East End of London, Johnny Brown on bike was mates with many of the Wolves riders. I am second from right. I have lived in California the last fifty years. Copyright © 2011 Keith Dyer. All rights reserved. Advertisers/sponsors are welcome on this site. email for the price.